The EDAWN Foundation is a private, non-profit 501c3, founded by the EDAWN Board. It’s purpose is to communicate awareness and educate visitors, businesses travelers and the community about our region’s economic development, business growth opportunities, and the quality of life in Greater Reno-Sparks. The Foundation has made a concerted effort to launch initiatives that include efforts to enhance our image as a family-friendly community. Since 2013, two such initiatives were successfully launched and have been positively received. 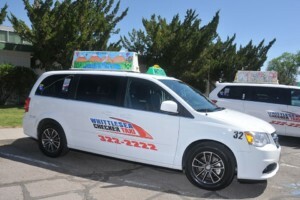 This is the 5th year of the Taxi Top Campaign with the Washoe County Schools K-12. Once again, the objective is to promote our region as a great place to live, work and play with artwork designed by students using their own perspective and creativity. In this competition the ten winning classrooms receive a check for $500 from the EDAWN Foundation. The donation is used to purchase classroom art supplies. The winners will be announced at a press conference on April 30, 2019, 10:00am at the WCSD Administration Board Room. Theme: The Greater Reno-Sparks is a great place to live, work and play. The more creative and eye-catching the better. Quality of life or business message is encouraged. A vision off what our region can become in the future is an option. Artwork entry dimensions should be 10.5 inches wide by 3 inches high which is scalable to 28 inches wide by 8 inches high for poster board and scalable for a taxi top. Artwork may include a minimum number of words that is easy to read on a taxi top. Entry submission deadline is March 31, 2019. 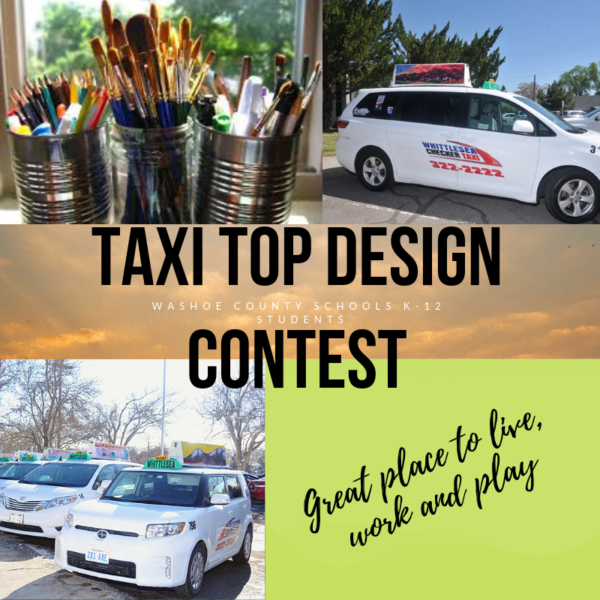 In 2018, students were asked to create a taxi-top design representing “why Greater Reno-Sparks region and Northern Nevada is a great place to live, work and play”. Winning designs will be displayed on Whittlesea taxis for a year. One winner was selected from each K-12 school level for high school, middle school, and elementary. Congratulations to all of the students who participated in this year’s competition and a special recognition to winning schools. In 2013 the Foundation launched its first initiative, the Diversified Marketing campaign which primarily targeted visitors and business travelers. The purpose of the campaign was to re-brand the community and to promote Reno as a great place to live, raise a family, and an ideal place to grow a business. The campaign included family-friendly taxi-top advertisements from various businesses and cultural organizations in the region and billboards located at the Reno-Tahoe Airport and the Reno-Sparks Convention Center. Some of the billboard messages include, “Reno-Sparks has less red tape to make your business go fast. Almost as fast as the planes at the National Championship Air Races” (showing racing airplanes) and “Expand Your Business, Enjoy Your Life. Reno Sparks is home to 300 days of sunshine. So you can work when you want, where you want” (depicting a hiker sitting with his laptop on a mountain top).